NBA fans were treated to the great Kevin Harlan calling play-by-play for Monday night’s first-round playoff game between the Philadelphia 76ers and Brooklyn Nets on TNT. 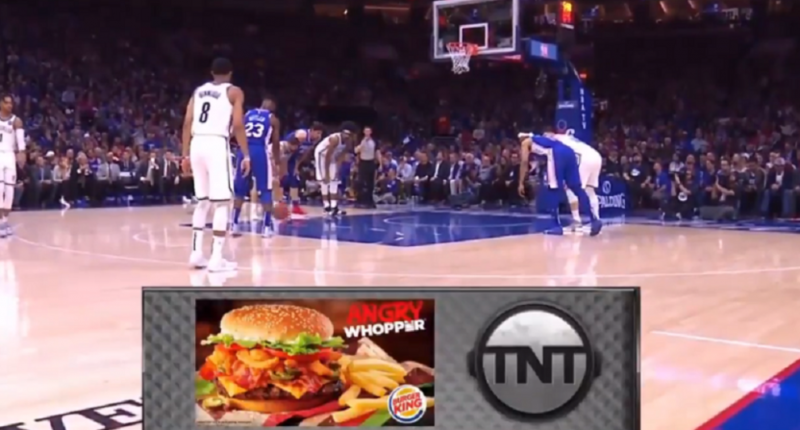 And in the second quarter of the high-scoring game (which resulted in the 76ers winning 145-123), Harlan had to read an advertisement for Burger King, specifically promoting the fast-food chain’s Angry Whopper. While most announcers (understandably) read these promos like robots, Harlan treated it like a basketball player throwing down a ridiculous dunk. Turning moments like this into very entertaining moments is nothing new for Harlan. Take his call of a fan spilling beer and his call of a fan running on the field as examples.